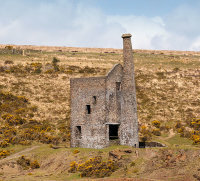 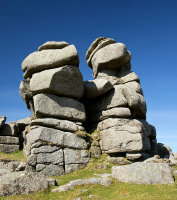 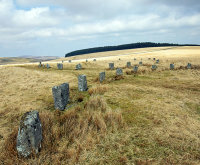 Dartmoor National Park covers an area of 368 square miles . 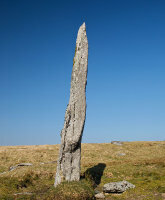 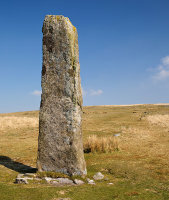 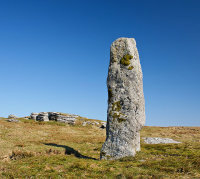 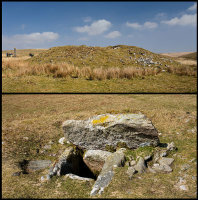 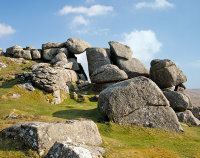 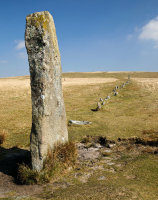 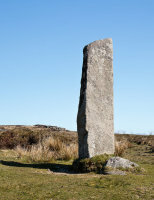 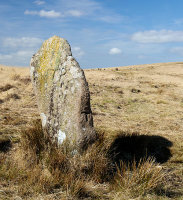 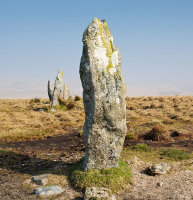 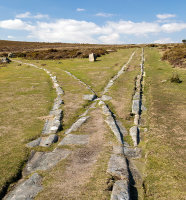 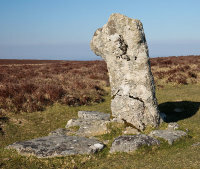 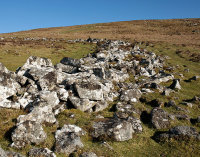 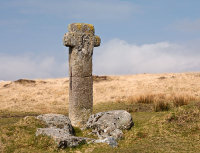 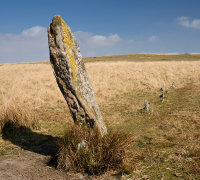 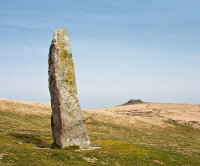 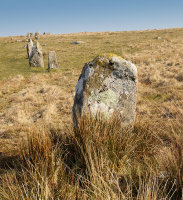 Dartmoor contains the largest concentration of Bronze Age remains in the UK. 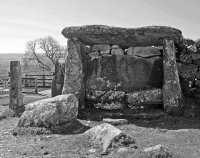 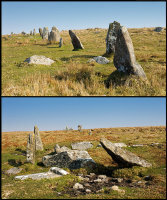 Stone rows are the most distinctive monuments of Prehistoric Dartmoor , there are at least 75 examples, often built in conjunction with cairns . 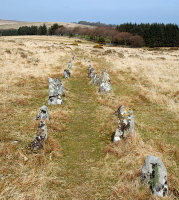 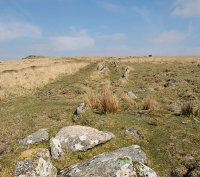 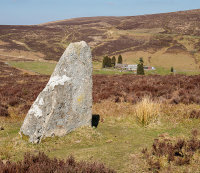 Around 1700BC there was a major influx of settlers into Dartmoor - responsible for around 5000 hut circles and widespread and systematic field boundaries known as Reaves.